Illustrations by Tavernier were sent, a great many of his drawings of the storied places [wahi pana] of Hawaii nei, to the illustrated newspaper Harper’s of New York, with the hopes that they will be engraved in stone and arranged in the newspaper. 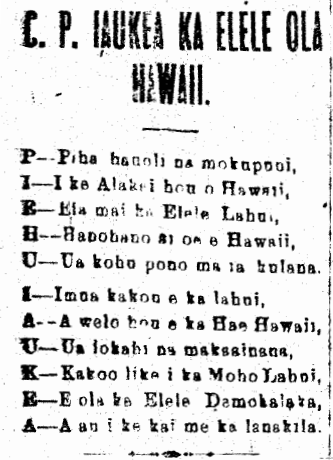 Ko Hawaii Paeaina, Buke VIII, Helu 12, Aoao 2. Maraki 21, 1885. Description of the Nene by Kepelino, 1863. It is said in the old Hawaiian stories, that the Nene and the Fly [Nalo] were deprived of their wealth, and that is why the Nene cries in that manner, “unele, unele” [“without, without”] and the Nalo chose its place to live as Kapalapilau [“Rotting dab of excreta”], and that is still what they do. 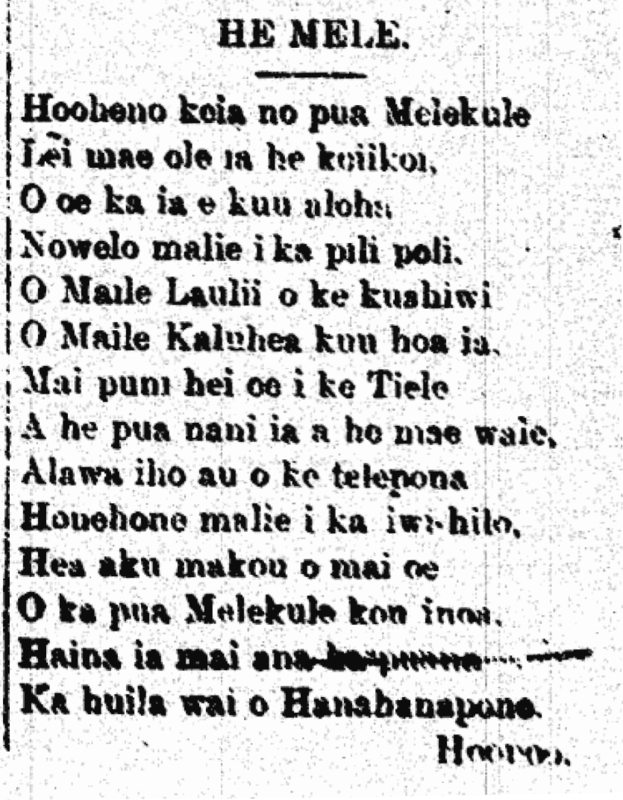 Ka huila wai o Hanahanapono. [Check out more on this another variant of this mele and its translation by Liliuokalani as well, here on the fascinating and educational Instagram page: http://instagram.com/naneaarmstrongwassel! 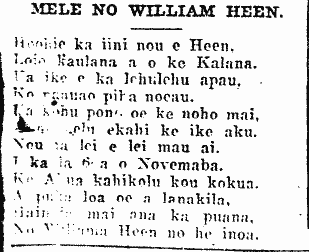 Ka Leo o ka Lahui, Buke II, Helu 320, Aoao 2. Novemaba 20, 1891. Queen Kapiolani, Mele, Maunakea, and a new site to check out, 1878/2013. He Inoa Lei no ka Moiwahine Kapiolani. O Kapiolani i ka iu o na moku. O Kapiolani i ka iu o ka moku. Ko Hawaii Pae Aina, Buke I, Helu 40, Aoao 4. Okatoba 5, 1878.